I am so glad to be here again after a gap. As many of my blogger friends knew about the problem which I was facing last week with my webpage. All of a sudden my page went down and the timely intervention of my long time friend and brother Rejoy Poomala of Ganamrutham.com, who was helping me in developing these pages were able to relocate/recover the page backup. Thank you Rejoy for the timely intervention with the web hosters. It was later decided to change the server to avoid such problems in future. Since the page was down, I was on the regular visit to my fellow bloggers pages and found out a wonderful page today, which is a must read for all bloggers! Beginners as well as pro bloggers! In fact, I could not wait, but posted this on my blogger.com pages! Yes, a post supposed to be here went into my other page and I brought it back here immediately after the restoration of this platform. A must page to all the bloggers to read before they start a blog page! My fellow bloggers at Philipscom. I am happy to be here again with a special note/post I found today on the pages of the famous Indian blogger Harleena Singh. She is also known as the “Comment Queen” in the blogging Industry. Yes, her pages AhaNOW and the recently created blogging community ABC will talk more about this wonderful woman blogger. Recently she created yet another page called Harleenasingh.com wherein she started her first blog post with a wonderful post which no one ever thought of or posted! Yes, the one I am talking about the very basics a blogger should follow or take note of before starting a blog! She coined a set of Oaths based on the modern medical Hippocratic Oath. She very well put that in order to take the oath. I am sure this will be a wonderful step and a must oath to take! If followed it diligently, I am sure one can be a successful and honored blogger in the great ocean of blogging! Thank you Harleena for coining this oath in step with the famous medical oath. I really appreciate you for doing this, that too in the appropriate time! Along with the opening of your new venture. I wish you this new venture a great success! And I pray that, God may give you the necessary wisdom to follow these steps and take the new page to the higher level! I am so glad to re-blog the post on my page with your kind permission. Have A Great Time Of Blogging! underwritten oath, to the utmost of my power and judgment. knowledge with those who are to follow. knowledge, and expression of freedom. responsibility, and I’ll prove myself worthy. benefit in my blog posts. from cheating or indulging in malpractice. of humanity and the esteem of bloggers, and never fall for evil temptations. This is indeed an informative share. Nice that I found this today! Lot of things to make note of! day to day blogging journey!!! Hi Joy, indeed it’s a great JOY to see you here after a while. Yes, I repeat, how nice it would have been if even a majority follows it! So glad to see the new look of your blog and tinge of more professionalism in its layout. It shows how deeply you are involved in your project and very consistently taking it up and up. I already have gone through this post on Harleena’s blog and highly appreciate your resharing this post with your blog community to enjoy it, learn from it and be a better blogger. Thanks a lot for sharing and keep sharing such wonderful stuff for our further blogging enrichment. Have a super successful week ahead. Thanks a lot for the kind compliments. Lot of pending things to do in regard to fellow bloggers! Will surely be drop in shortly! I once again express my gratitude to you for the valuable time you spend on my page. Great idea, but I think it needs a new name. Hippocratic sounds very medical. Yes, I agree but at the same time coining another suitable word too is a difficult thing! Pl. think of some! Let me start by thanking you from the bottom of my heart for sharing the blogger’s oath with your blog audience and your social followers. It really means a lot. I’ve written nothing that is new or that bloggers are not aware of, but I tried giving it a proper shape in a popular form of Hippocratic Oath. That for sure catches attention. Good to know that Atish helped, as he is a very helpful blogger – that’s what friend’s are for, isn’t it? Most people have heard of the Hippocratic Oath, but what does it actually say and why does it say it? Wonderful post and a lot of thought mixed with personal experience went into the “Hippocratic Oath” for bloggers. Some wise insights. Most of which are learned by listening and doing … thank you for sharing ! This is my first time to your blog & what a post to start with! This single piece offers a lot of things to absorb. But until unless we start working on those, it’s very difficult to excel further. Thank you so much for the great share. Manidipa recently posted…Does Interlinking Blog Posts Helps to give Better SEO Results? Love the new look of your blog! Only goes to show we all need each other when we are bloggers lol. 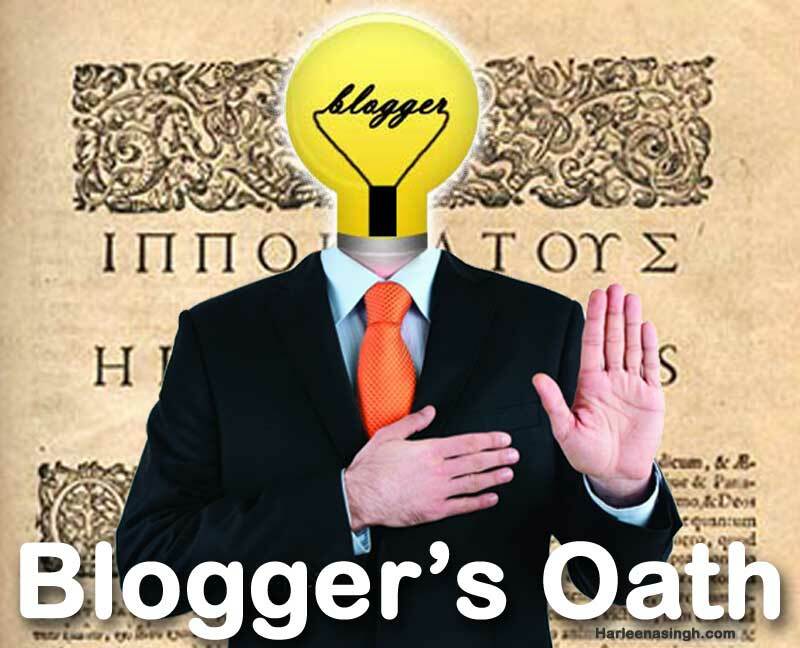 I have read Harleena’s “Hippocratic Oath” for bloggers a while back. It is pure genius. I think we all need to take this oath if we are going to blog. It is ethics that get us somewhere in life. This is what blogging is all about. 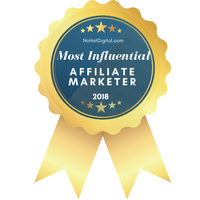 Hopefully, newbie and pro bloggers alike will find value in keeping to this! Congratulations to her for the new venture! I with her success and prosperity! By the way, I am happy that your friends came calling when the chips were down. I am also happy that your backup and restoration issue were resolved. It happens to the best of us, but we only need to take precautions! Internet business comes with its unexpected down times and disappointments! It is great to have close friends in the blogging world who can help you, right! I really liked this Oath. Very interesting and very honest as well. So glad you got your problems resolved – what an awful moment it is when you find your blog destroyed and all that work potentially lost. It’s happened to me and what a shock to the system first time. So pleased you are back and with good hosting, courtesy of Rejoy Poomala and Atish Ranjan. How wonderful that these bloggers stepped in to help you. That links well into Harleena’s Hippocratic Oath for bloggers – especially the part about remaining a member of the society and having special obligations to my fellow bloggers. Rejoy and Atish have certainly satisfied THAT.